Please choose and attend one of the two meetings. Por favor asistir a una junta. We need your help to make this event successful. Necesitamos su ayuda para que este evento sea un exito. Orders will arrive by September 23rd. Clothes will be sent home with students. Any questions, please feel free to find us in the Parent Center. 1st General Meeting of the Year 2016-2017. Primera Junta del Ano. 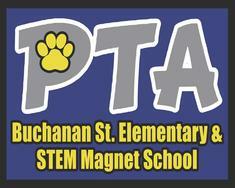 Buchanan Bobcat School Pride T-shirts On sale Now! We are selling T-shirts, Polos, Ladies V-necks, Crew sweatshirts, and Zip Hooded Sweatshirts. Deadline to purchase is Friday, September 9th. 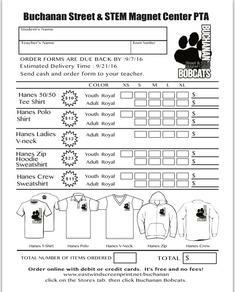 Or turn in your order form with money to your teacher. Let's show our Bobcat Pride and wear your T-shirts every Friday. Back to School Night Fundraier was a success. Thank you Bobcats! Coffee and Pan Dulce! 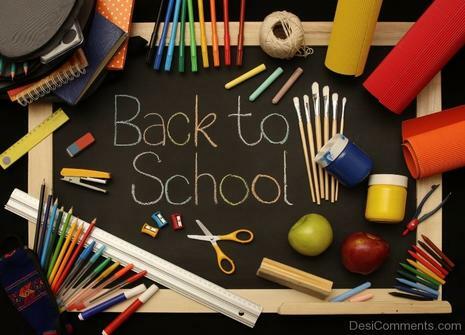 Wednesday August 17th @8:00a.m. Come by and get some FREE coffee and sweet bread! 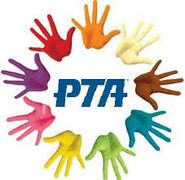 Meet your PTA board members and get to know them. Please feel free to ask any questions. Venga! Va ver cafe y pan dulce gratis! Vengan a hablar y conocer a su board de PTA. 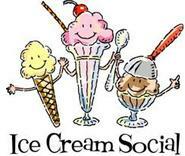 Our first event will be August 15, an ice cream social from 4pm to 5:30pm on campus. Nuestro primer evento tomara lugar el lunes, agosto 15 desde las 4 hasta las 5:30pm donde habra helado gratis. We will also have a welcome table with refreshments on Wednesday, August 17 at 8m. Tambien tendremos una mesa de bienvenida el miercoles, agosto 17 a las 8am. We look forward to meeting many of you and keeping you informed through this page. Estamos ansiosos de conocerles y tenerles informados a traves de esta pagina. Bobcat Pride Days! Wear Buchanan school shirts every Friday!